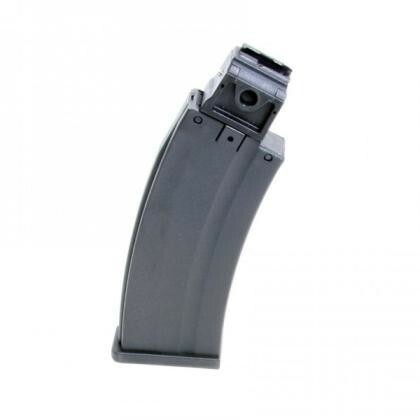 A 25-rd magazine for Ruger® 10/22® rifles & carbines. A one piece injected-molded housing allows complete disassembly for cleaning and maintenance. Replaceable nylon feed lip insert with patent pending feed control spring eliminates rim lock and other feeding issues associated with other high capacity rim fire magazines.